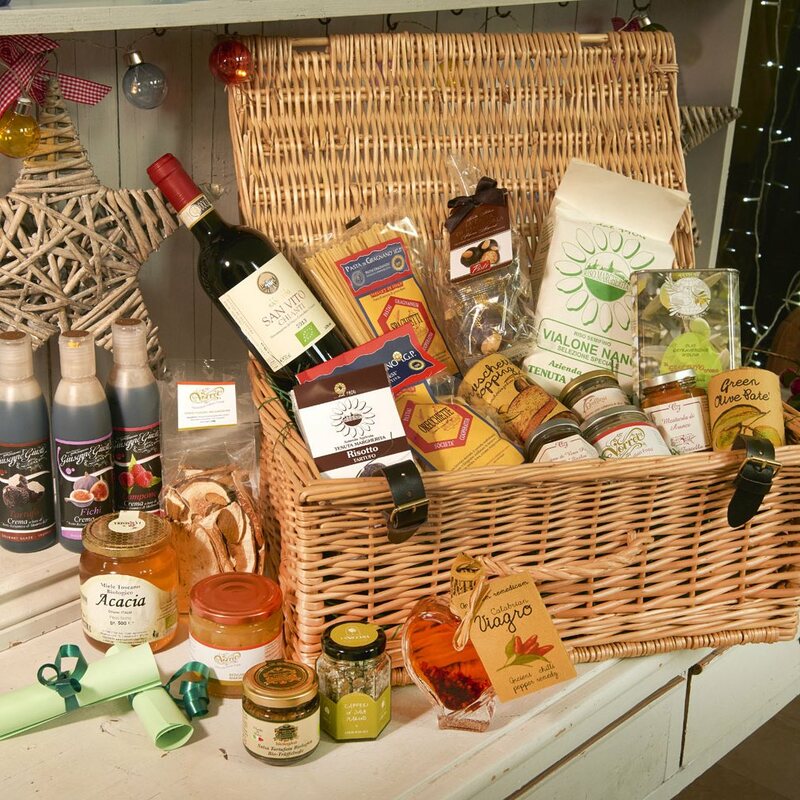 A delightful wicker hamper packed to the brim with a range of fabulous gourmet Italian foods, ideal to send to family, friends and colleagues who are passionate about Italian food. Recipes to help you make the most of these fabulous ingredients! All the items are beautifully wrapped in an 18’’ traditional wicker hamper and hand tied with a pretty ribbon. Add your personalised message for a more special touch.